One of the most important aspects of physical safety for chronic patients is dealing with the myriad of medications involved in their care. In fact, medication errors may be one of the first warning signs you saw that led you to realizing your loved one needed additional help. A great resource for reducing medication errors is this article provided by the Mayo Clinic. You will find many medical safety ideas that you may not have already considered. Another article that is helpful in avoiding medication errors is from Centers for Disease Control and Prevention. Here you will find some specific warnings about certain medications that need close monitoring as well as excellent tips for managing medications. Your aging loved one may not be ready to give up control of medication management. This may take some time to convince him/her. For us, it took quite a bit of conversation and an unfortunate hospital visit for our mother to give up that control and allow us to fill her pill box weekly. She had become quite ill and had to spend weeks recovering from the effects of medication errors she had unwittingly committed. We were lucky that the effects of medication misuse hadn’t become permanent, yet. Remember to use the genus™ App to keep your loved ones’ medications list up to date. It truly is worth the time and effort to input the medication data into the app. 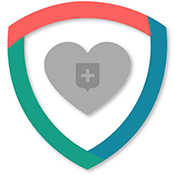 This part of the app in the Medical platform will provide you with medical safety information when you visit the doctor’s office, consult with a pharmacist, or make a plan for safe medication dispersal. All this at the tip of your fingertips, wherever you are! Together, we can care better.